Our Organic & Natural Stencil Solution is a creamy lotion to easily transfer real, Jagua or Henna tattoo stencil's outline and to protects against wiping and smudging during a tattoo job. Organic & Natural Stencil Solution was developed for those who demand non toxic, Vegan Freindly certified organic ingredients. ingredients: Organic Aloe Vera, USP Food Grade Propylene Glycol, Organic Lemon Juice, Non GMO Xanthan Gum, Organic Cymbopogon Flexuosis (Lemongrass Oil) ,Pure Love! *When the stencil is pulled away, the ink will remain on the skin to serve as guide for the tattoo application. This is a quality product that deliver great results. designs. Our Organic & Natural Stencil Solution fine mist spray is one of the newly released formulas that have been designed to be used with drawn stencils. During the process of tattooing, there is also the possibility of the stencils smudging, leading to unintended or poor execution of the designs. This spray has thus been designed to avoid smudging and to ensure that your stencils remain in place at all times. The spray is designed for use with hand drawn stencils. Its formula is mild and thus safe for use even with sensitive skins. You will also be interested to know that the spray is made in the United States and vegan friendly. The spray comes with all the instructions needed to safely and efficiently use it during a tattoo job. 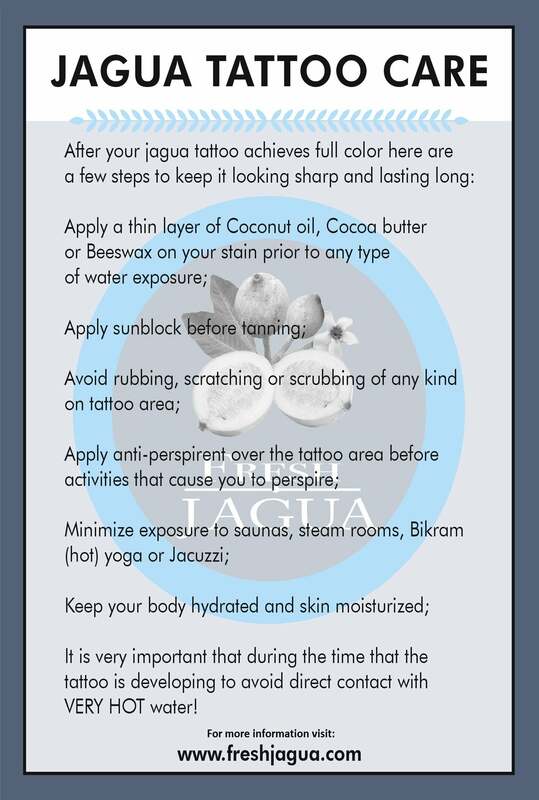 If you have been having problems when applying your jagua tattoos or henna due to smudging or wiping of the stencils, then you need to pick our organic stencil solution fine mist spray to stop this behavior and grant you the ultimate experience when you are applying your henna or jagua tattoo inks.